Football is a rough sport, and despite the helmets, pads, braces, and supports, injuries are a common part of the game. The combination of the size of the players, speed of play, and physical nature of the game makes football injuries quite common. Sprains and strains are the most common type of football injury. Treatment of sprains and strains usually is best accomplished by the "​R.I.C.E." method (Rest, Ice, Compression, Elevate). Fractures account for one-quarter of all serious football injuries (i.e. injuries that require hospital care). Commonly fractured bones include the finger, wrist, and leg. Turf toe is an injury to the base of the big toe. This condition is often caused by running or jumping on hard surfaces such as artificial turf. Achilles tendonitis is a painful condition of the tendon in the back of the ankle. Left untreated, Achilles tendonitis can lead to an increased risk of Achilles tendon rupture. Ankle sprains are common injuries that football players experience. Early recognition and treatment of this problem will help speed your recovery from ankle ligament injuries. The anterior cruciate ligament is the most commonly injured ligament in the knee. Often seen in football players, this injury can sideline an athlete for months or longer. When seen with an MCL injury and meniscus tear, this is called the unhappy triad. A cartilage tear in the knee occurs when the meniscus is injured. The meniscus in the knee are two circular pieces of cartilage that both cushion and support the knee joint. A meniscus injury is also part of the unhappy triad. The diagnosis of a hip pointer means that there is a bone bruise, or possibly a fracture, of the pelvis; this injury is usually caused by a football tackle. 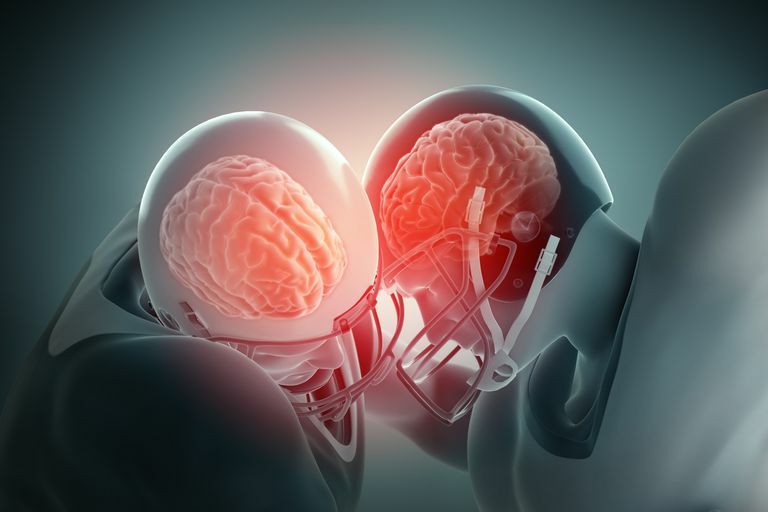 Concussions are caused by a blow to the head; this injury causes some level of impairment of brain functions. Symptoms of a concussion may include confusion, short-term memory problems, and loss of consciousness. The condition called a burner or stinger is common in contact sports, especially football. Burners and stingers are due to either stretch or compression of the brachial plexus. Burners cause pain shooting down the affected arm. Spine injuries are a rare, but highly publicized, injury seen in all levels of football. These injuries are almost always seen when defensive players are in the act of tackling.